What do you do when you do not want to do anything on your list? Well – you go on to your bigger list – that’s what. On Sunday, I posted a to do list for this week and I actually worked on the first item yesterday. I finished the hand embroidery on project #1 of Sew Practical. It was done in 20 minutes. I wanted to do more of something crafty but I wasn’t feeling anything else on my to do list for this week. So – I looked at my list for this month! So I went through my bin of scraps and randomly pieced things together. The scrap bin was getting kind of full and taking up mental energy. It was kind of refreshing to use up some of those scraps. 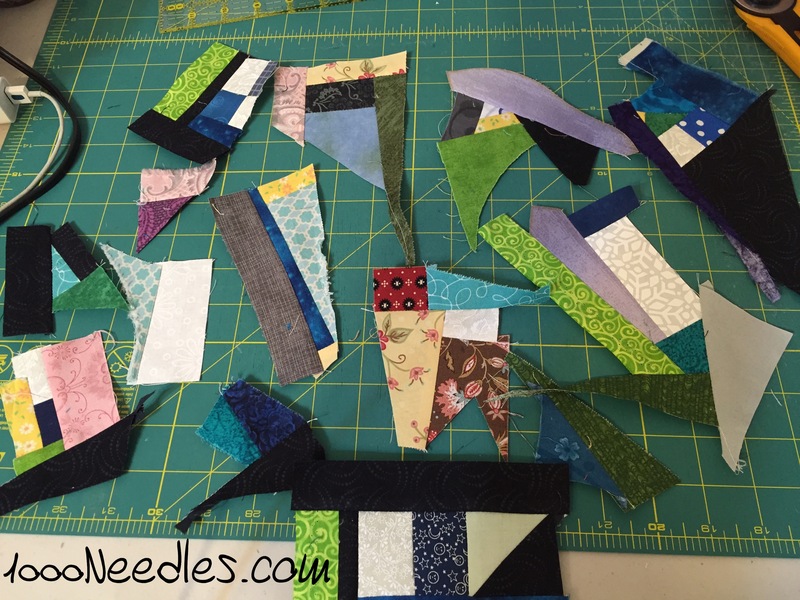 I was able to feed the piecing urge and reduce my scrap pile (at least a little bit). 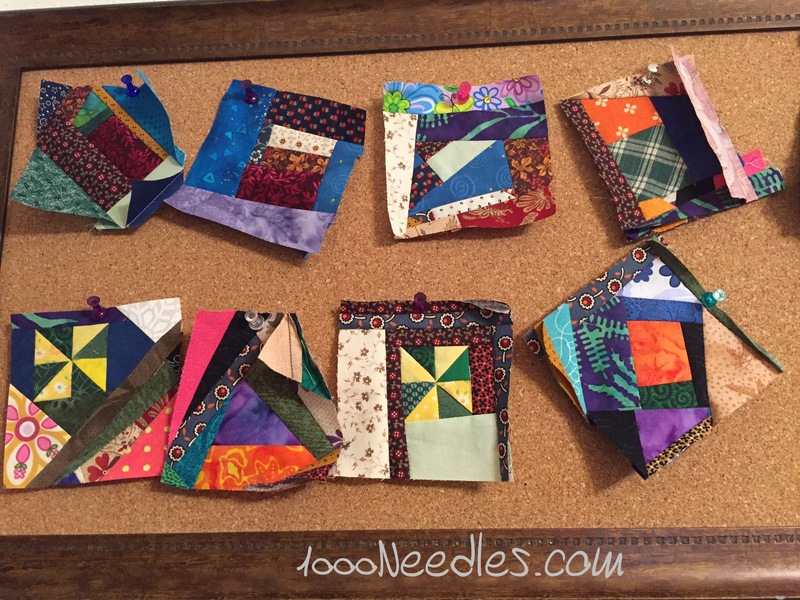 I didn’t get any mini blocks done to show … but here are some samples of ones I’ve completed in the past. Some of the pieces I put together last night are almost big enough to the final step of squaring them down. I’ll have to get to that another time.